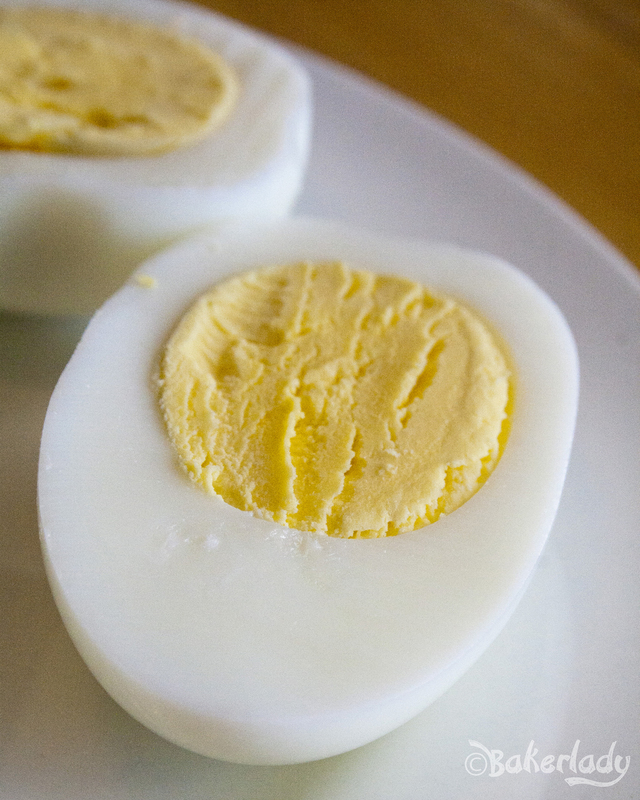 Perfect hard-boiled eggs require very specific boiling time, and the max you can boil at a time (perfectly) is about 12. 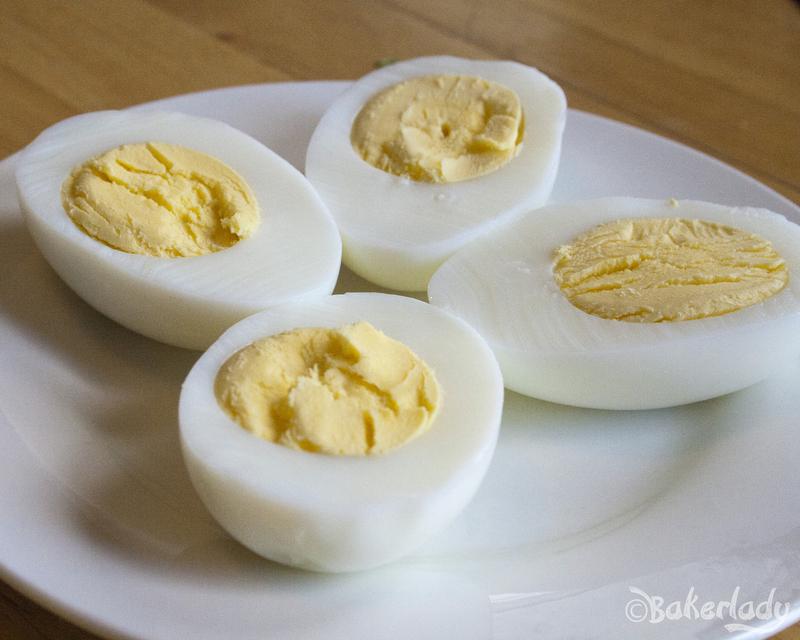 My hard-boiled eggs recipe has served me well for many years. But there’s a new sheriff in town. Alton Brown. More specifically, his gloriously creamy, perfectly cooked, dozens at a time baked eggs. 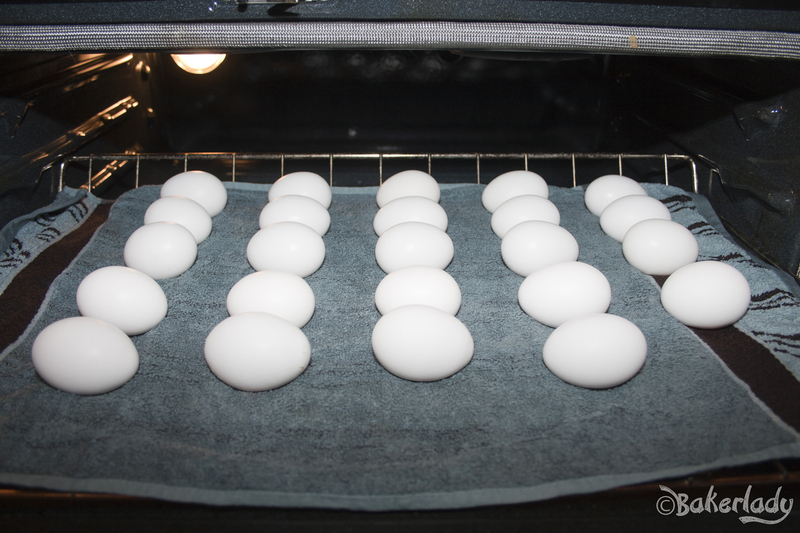 With a wet dishtowel and your oven, you can create a plethora of perfect eggs all in one go. Check out the recipe and try the magic yourself today! I know you are all planning to hard-boil and dye Easter eggs. Trust me and bake them instead. Perfection on a grand scale. Creamy yolk, silky white. Mmmmmm. « Easter Foods That Are Easier Than You’d Expect!